We supply specialized and custom flatbed trailers for container transport. The trailer is a flat platform on top of 2, 3 or more axles, it has an entirely flat, level body without sides or roof. 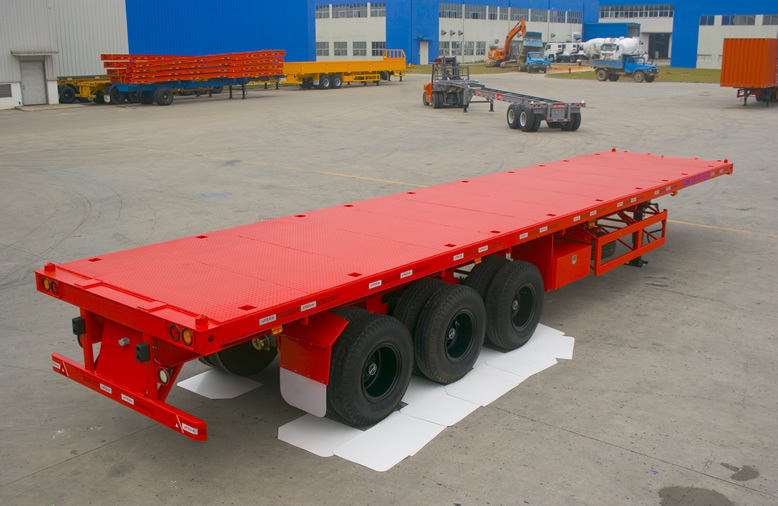 CKD and SKD of flatbed trailer is available. If you you need a container chassis trailer, please click here for more information. © 2019 HugeIron Tech Co., Ltd.